See lower down the page for details of the giant Maurice Trace 9.5mm film guides - silent and sound! The 9,5mm home movie gauge was most popular in the UK and France. Probably because in the 1930's (the boom time for 9,5mm) we had more disposable income here in the UK, 9,5mm sales were probably highest in this country. Certainly it would appear so from the volume of 9,5mm films and equipment turning up today. Because of this, most books written about 9,5mm, in the past and today, have been published in the UK, with a few in France. I have listed most of the publications I have in my possession, naturally most are out of print, but sometimes turn up at 9,5mm Film Fairs & Get-Togethers or at specialist film dealers. 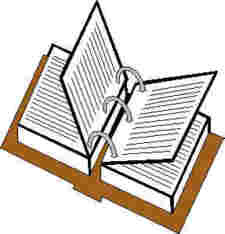 Book search services are another good starting point. Where a book is probably still in print I have detailed the source (many contempory publications are privately published because demand is hardly likely to put such things on a commercial best-seller list!). Unless stated otherwise all items listed were/are published in the UK. These days it may be possible to find seconhand copies on that famous internet auction site ebay! Sometimes the odd one aoppears on my sales lists. 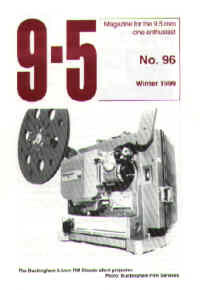 I hope to include more articles about 9,5mm and the Pathe & Pathescope companies on this web-site in the near future - many (written by yours truly) have previously been published in an earlier form in the UK 9,5mm club Group 9.5's quarterly magazine, membership is recommended! 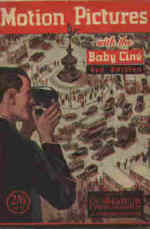 "Motion Pictures With the Baby Cine" - Harold B. Abbott. Published by - The Amateur Photographer. different information on 9,5mm equipment then currently available. 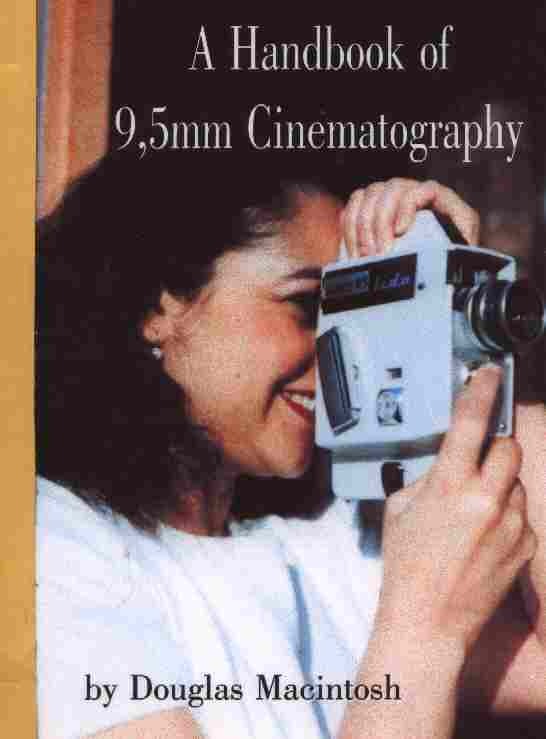 "The Complete 9.5mm Cinematographer" - Harold B. Abbott. Published - by The Amateur Photgrapher. (undated probably about 1937 - no mention of 9.5mm sound which arrived in the UK in 1938). A green hard-back follow-up to the above "Motion Pictures With the Baby Cine" book containing much of the same information, but with formulae for home processing (black & white) and details of later 9.5mm equipment. "How To Use 9.5" - D.M. Neale. Published by - Focal Press. (First published 1951, second edition 1955). editing etc. with details of then current 9.5mm apparatus & filmstock. Mini-Festival & Group 9.5 Chiswick Get-Together). - most information is similar but translated to the French. "La Pratique du 9,5mm" - N. Bau. Published in France by - Publications Paul Montel. (1st edition undated, probably 1950/51, 2nd edition 1958). 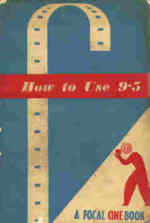 Like the UK published "How To Use 9.5" these editions contain information about filming, editing and showing 9.5mm. They also contain information and photos of the then current 9.5mm equipment available in France - different in each edition. (Written in French of course!). "Pathéscope Monthly" - the house magazine of the UK Pathescope company. 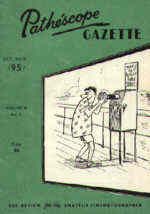 "The Pathéscope Gazette" until the last issue dated April/May 1959. News Sheets May 1949 - September 1949 with "Pathéscope Monthly"
often photos and full resumés of each printed film release. "Le Cinéma Chez Soi" (The Cinema In Your Home) - house magazine of the Pathé-Frères 9.5mm company in France - published 9 times a year from the beginning of 1926 through to 1939 (one edition in 1940). Like it's UK equivalent, the magazine contains release details (and descriptions) of all French Pathé-Frères 9.5mm film releases and announcements of 9.5mm Pathé cameras, projectors etc. In 1952 a quarterly magazine appeared "Pathé Cine Review" finally replaced by a commercial newstand "Cinéma Chez Soi" which still contained a single page of Pathé 9.5mm printed film releases, plus other advertisements for Pathé 9.5mm cine equipment. 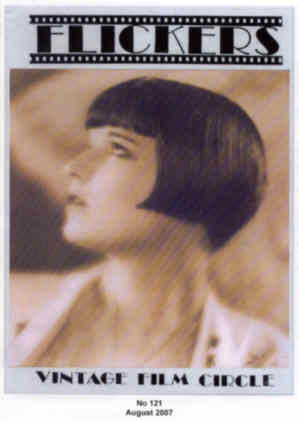 In addition both Pathé-Frères (after 1950 S.C.I. Pathé) and Pathéscope Ltd (Pathéscope (Great Britain) Ltd after 1957) published regular descriptive and illustrated 9.5mm film catalogues, together with equipment catalogues and various trade flyers. Naturally these are very useful for identifying and dating 9.5mm collectables. "The Amateur Cinema" - Val Randall. Published - 1977 by the author. Historical look at the amateur film movement in the UK. Interesting section on 9.5mm with various illustrations and reminiscences. "The Complete UK 9.5mm Sound Film Catalogue" - Maurice Trace. Published - 1970 by the author. Contains details of every 9.5mm optical sound film issued in the UK by Pathescope Ltd. Full details of date, cast, plot synopsis etc. (Dec 2007 - this edition is now out of print - sadly Cecil Cramp died in 2006 - but see the next entry!). "A Guide to Pathéscope Silent 9.5mm Non-Fiction Films" - Maurice Trace. Published February 2011 by the author. AND NOW! Maurice Trace has just published an enormous catalogue of the 9.5mm silent Non-Fiction titles issued by Pathescope in the UK. This catalogue not only contains listings of each 9.5mm non-fiction silent film issued, but full details of each film - and I do mean full details!! Original title, release date and country of origin, plus full description of the contents (some 30ft films details almost fill an A4 page!). If that wasn't enough, there are also a number of appendices, which detail the contents of each Pathescope Gazette and Newsreels, plus Newscopes etc. A really amazing work! Really ideal for 9.5mm film collectors and archives for identifying original 9.5mm silent non-fiction film origins. "The Complete French 9.5mm Optical Sound Film Catalogue" - Grahame Newnham. Published by the author. Contains full details (in English!) of all the French 9.5mm optical sound films issued by the French Pathe-Freres company. Plus full reviews of a few of the films and the original titles of non French films. (They issued a 9 reel version of the 1933 "King Kong" on 9.5mm in France - hear Fay Wray scream in French!) Currently out of print, but I may be persuaded to run a few more off! Price was £5 (post paid) in the UK. Written when film collecting (on Super 8) was at its heyday in the UK. Gerald however takes a look at film collecting on all gauges with a great deal about 9.5mm and Pathescope (Gerald is a knowledgeable 9.5mm enthusiast and historian). 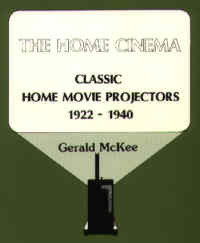 "The Home Cinema : Classic Home Movie Projectors 1922-1940" - Gerald McKee. Published - 1989, by the author. ISBN 0-9515905-0-2 (Limited print run of 350 copies) Whilst this A4 size softcover book covers all gauges, 9.5mm and Pathéscope get a huge amount of attention. The 9.5mm Pathé-Baby (later Home Movie) is fully detailed with illustrations and details of all the models and accessories. Now out-of-print. 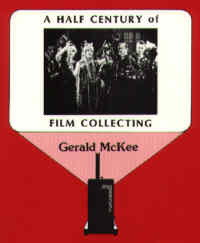 Gerald McKee had another book in preparation which was to cover cine projectors from 1940 up to but not including the plastic Super 8mm era. Sadly Gerald McKee died early in 2007 - currently the manuscripts for this new book have not been located - maybe if they can be found there may still be a chance it may be published. "A Half Century of Film Collecting" - Gerald McKee. Published - 1993 by the author. ISBN 0-9515905-1-0 (First edition print run of 300 copies). Another A4 size softcover book - a sequel to "Film Collecting" mentioned above, and very strong on 9.5mm. Including reviews of many 9.5mm optical sound releases (many of which don't exist elsewhere today!). There is a superb chapter on the history of Pathescope and 9.5mm printed films in the UK! "Pathé Premier Empire Du Cinema" - Jacques Kermabon and film enthusiasts. ISBN 2-85850-793-7. Published in France - 1994 by Centre Georges Pompidou to co-incide with a large Pathé exhibition to celebrate the centenary of the Pathé-Frères company. A superb book, hard back with heavy gloss pages. 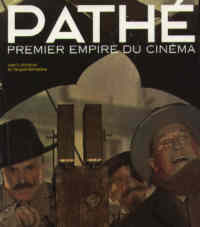 Contains a wealth of knowledge and pictures of all aspects of the Pathé empire. Naturally there is quite a bit about the amateur film side of Pathé - 28mm, 17.5mm and 9.5mm plus lovely photos of the equipment. The book wasn't cheap (approx 400Fr F. which at that time was about £45). Sadly the book, although reprinted, is now out of print. Worth searching for though! (Remember it's written entirely in French!). "Catalogue General des Editions de Films de Format 9,5mm en Lanque Francais de 1922 a 1986" ("9.5mm French Film Catalogue 1922-1926" - French is so long-winded!) - Francois Poisson. Published in France - 1997 by Editions Cinematheque de Bretagne. (100 copies printed). Complete (well not quite!) 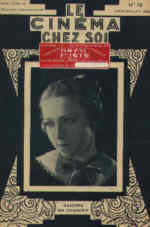 listing of 9.5mm French film releases. Details include title, length, company and date of release. Unfortunately many titles are duplicated because it includes film library lists and some film library reference numbers have been assumed to be original. However there are lots of good film frame illustrations. (French language). Probably out of print by now. more experienced user. Many useful addresses are included. and omissions particularly relating to 9.5mm history & equipment. No doubt the second edition (published 2007) will be improved! Flickers is back! Sadly the previous editor of the famous Flickers vintage film magazine Gerald McKee died earlier in 2007. However the magazine has been resurrected by a new team, led by editor (and well known film collector / historian) Patrick Moules. The UK subscription for the new "Flickers" magazine is now £13.25 per year (four issues). Send a cheque for £13.25 payable P.G. Moules, to Angela Stevens, 29 Milebush, Leighton Buzzard, Beds LU7 2UB Don't forget your own name and address! The first 'new' issue was number 121, dated August 2007 and an excellent read! Twenty four pages, A5 size, with the luxury of colour front and back pages, lots of illustrations and photos, all printed on decent gloss paper (like the Group 9.5 magazine). The later issues are even better - lovely illustrations! Sign up for a subscription today! Don't forget the French 9.5mm club produce an excellent glossy A4 quarterly magazine. Full details are elsewhere:- FRENCH 9.5 CLUB . Don't forget our own Group 9.5 quarterly magazine, a mine of information about 9.5mm (the back numbers are also really interesting! ), and only £12 a year for full membership in the UK! The full details are below and elsewhere:- GROUP 9.5 or check out the Pathescope section of: THE VINTAGE FILM PAGE (Remember to use BACK to return to this site!). Back numbers arre available from Grahame Newnham, 22 Warren Place, Calmore, Southampton, SO40 2SD, send a stamp to me for a full list and / or a free sample copy of the magazine! UK Group 9.5 membership is £14 for the first year (free badge). then £12 per year. Send a cheque / postal order, payable Group 9.5, with a stamped addressed envelope to Malcolm Cutmore, Group 9.5, 24 Sandpiper Close, BRIDGWATER, Somereset, TA6 5QT.